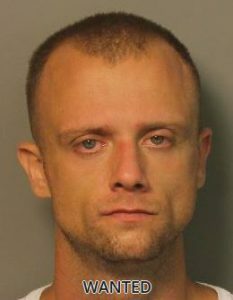 JEFFERSON COUNTY — Gregory Chase Francis, 28, is wanted in Jefferson County on felony warrants charging him with failure to appear for robbery third degree, assault second degree, and unlawful possession of a controlled substance. The subject is described as a 5-foot-11, and weighing 155 pounds, with blond hair and blue eyes. Francis is a white male. His last known address was on 3100 block of Sleepy Hollow Drive, Pinson, Al 35215. If you know where this suspect might be, please call Crime Stoppers at 205-254-7777.